Special interests: Irish families with English and Welsh connections. Photography of Irish churches, graveyards and home sites. Linda Clayton was born in Yorkshire, England but has lived for forty years in Ireland. Her first career was in nursing. Following training at the Royal Infirmary, Sheffield to become a State Registered Nurse, Linda’s last post was as a Sister in the Intensive Care Unit of the Children’s Hospital, Sheffield. Linda obtained a certificate in genealogy from University College Dublin in 1999. Her final year research project comprised the construction of a database for pre-1864 applications to the Trust Fund of Thomas Charleton (documenting the marriages of children of day labourers in County Meath). Following completion of her UCD course, she commenced work as a professional genealogical researcher and has gained wide experience in Irish family history and probate research and British Army records. 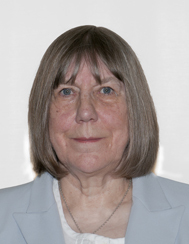 She is currently a Council member of the Irish Genealogical Research Society (IGRS) and a Committee member of its Ireland Branch, serving as Secretary [2001 – 2005] and [2008 – 2014]. She was awarded fellowship of the Society in 2013. Linda is also Secretary of the Council of Irish Genealogical Organisations (CIGO). She was a member of the committee that organised the 4th Irish Genealogical Congress, held in Trinity College Dublin in 2001. In addition to all of the Dublin repositories, Linda regularly visits the U.K. National Archives (Kew) and the West Yorkshire Archive Service.